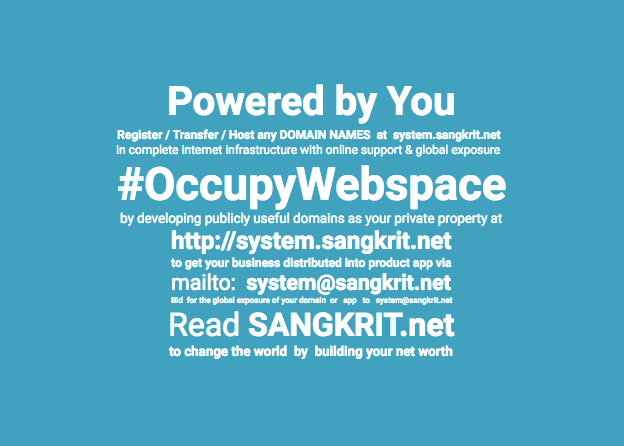 Sangkrit teaches programmers to stay individual for staying independent. They must not be joining any corporations or governments. What Linus personally did and still doing has been simply impossible by any corporation or government involved. That is like no one gives any assignment of writing a lyric to some company since it is a creative job that can best get performed by individual human being. Software is even more than that. Software programmers should always be working independently although it is going to be a difficult but really interesting choice to the best of them. To keep their individual independence intact domain registrants should be giving them individual assignments paying not less than US$ 15 per hour.